NASA’s Mars Atmosphere and Volatile Evolution (MAVEN) spacecraft entered orbit last month, 10 months after its launch that took place in Cape Canaveral, Florida. 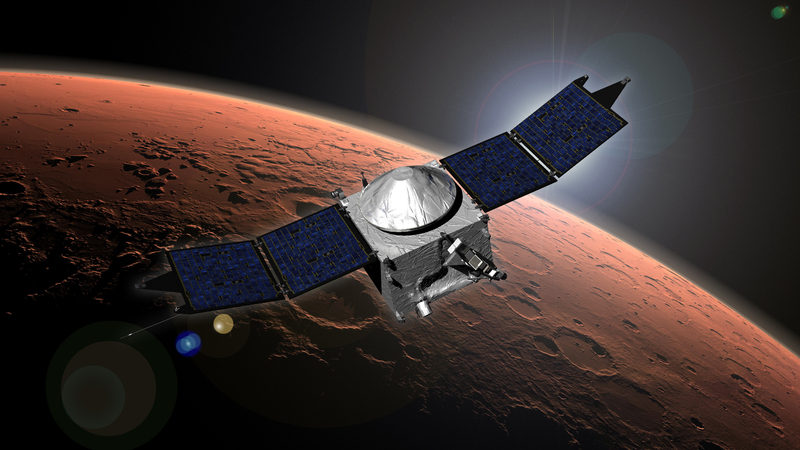 MAVEN is the first Mars explorer to prioritize researching Mars’ upper atmosphere in order to determine how the planet managed to lose its atmosphere and surface water over time. Currently, MAVEN is studying passing comets and their effects. “We’re excited to complete our observations of how the comet affects Mars, and we’re eager to get to our primary science phase,” said MAVEN Principal Investigator Bruce Jakosky of the University of Colorado, Boulder.